Total Carat Weight: 0.94 ct. 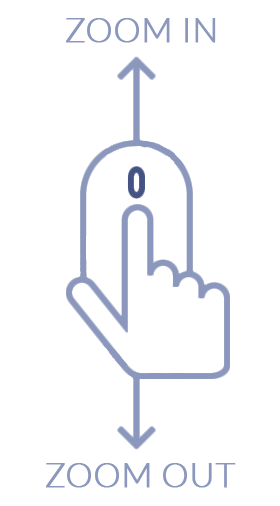 The hottest shape in jewelry design today – circles! 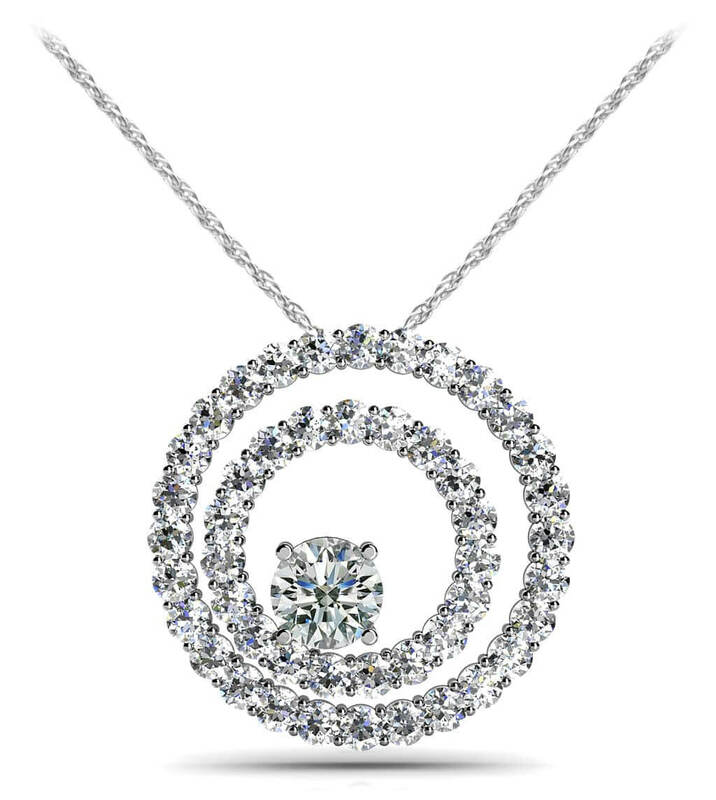 We could have crafted a single circle of diamonds, but why not push the envelope just a little! 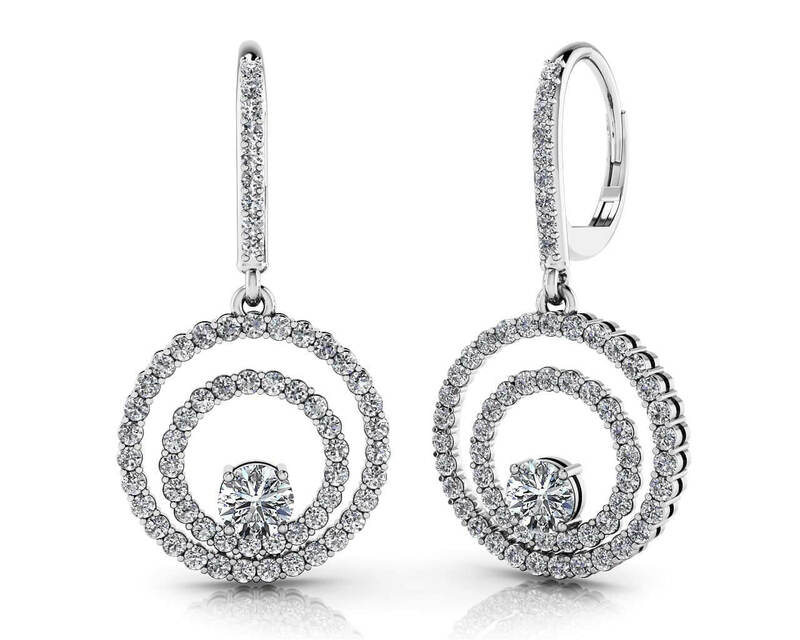 These incredible earrings feature a lovely, prong-set round diamond stud at the top, then a strand of diamonds, which cascade down to not only two circles of diamonds, one inside the other, but yet another fabulous, round, prong-set diamond, sitting inside the circle. Available in either gold or platinum, this piece features 1, 2, or 2.5 carats of diamonds. Come full circle with this one today! Stone Carat Weight: 108X.007 ct., 2X.090 ct.